No matter what we do in business, we can never anticipate the future. The process of contingency planning is initiated by asking a series of questions about the business environment that begins with “what if”. Regardless of the how good things appear at the moment, we have to embrace Murphy’s Law that states if anything can go wrong it probably will. 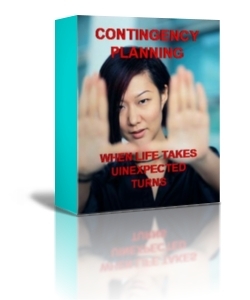 Contingency planning is a formal process to manage crisis, whether inflected from an external source or an internal source. In it’s basic format, a contingency plan involves potential problem identification, prioritizing the problems in a list of most probable, and developing planned steps to limit the harm that can be inflected on the company if indeed the potential problem become real. Most people can carry a good conversation. Ask the same people to have a conversation with a group while standing up is another story. 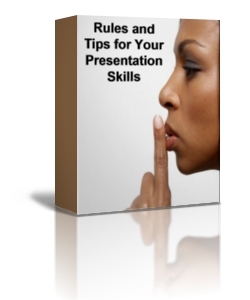 Here are ideas, rules and tips you may be able to use during your next presentation. This eCourse will provide you with a foundation to start your speaking career today. When the rules start to get blurred when you are in front of a crowd, this handy information course will help you refocus and bring your best ideas to the audience in a seamless manner. Whether you are a professional speak, or just want to make a better presentation to your garden club, this short course is well worth the money. “Effective Communication Skills” is a 6 part eCourse that is designed to improve your communications skills enabling you to express yourself more clearly and to talk with confidence and assurance. Each of the 6 modules includes a number of exercises and assignments that will teach you all you need to know so that you can communicate more effectively with all of the people who you come in contact with. 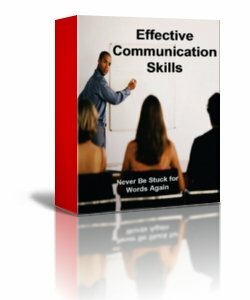 With “Effective Communication Skills” you will now be able to know what effective communications are all about, how the great communicators do it and all there is to know about non-verbal communication techniques which make up to 93% of all communications! 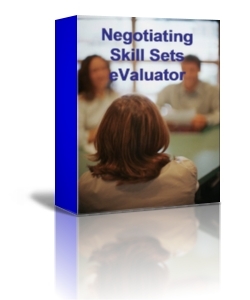 Here is a checklist of items that should be considered before entering into any negotiation. This short eCourse provides you with primary topics for consideration along with sub-topics that should be well planned when entering every negotiation, no matter how small. Most experienced negotiators find that many of the listings become second-nature when dealing with difficult and challenging clients who have their own style. By following the list and understanding where you are in the negotiating process, your success will increase every time you sit across the table from an antagonistic foe. "Get Motivated!" is a 6 part eCourse that is designed to get you motivated about your life and to stop you from putting things off all of the time. Within this course you will now be able to get juiced up about all that you do so that you have got the get up and go and energy to be a winner. Motivation gives you that inner drive to accomplish what you want so take the first step today and never look back! “How to get what you want” is a 6 part eCourse or that is designed to provide you with the direction, purpose and drive that you are looking for. Each of the 6 modules includes a number of exercises and assignments that will walk you through the process of first working out what you want from your life and then, how you are going to get it. The course will enable you to stop drifting along in life – instead you will discover what your life is all about and how you can go about to improve it. 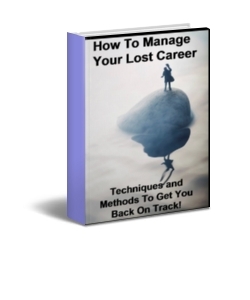 “How To Manage Your Lost Career” is a an online course that is designed to enable you to take a look at where you are now and where you want to be with your career. Maybe you are not happy with what you are currently doing? Maybe you want something else but don’t know what that “Something Else” actually is? This course includes a number of exercises and assignments that will enable you to answer all of your questions and teach you all you need to know in order for your to rediscover your lost career! "The New You!" 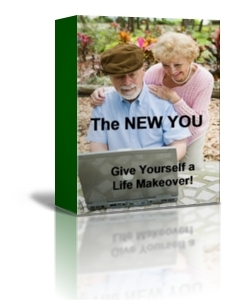 is a 6-part e-Course designed to give you a makeover on the inside and the outside! You've seen those makeover programs on the TV right? Well, this is something similar! If you are interested in becoming a Life Coach, you will save a lot of time and money if you sign up to the "How to become a Life Coach" course. You are probably swamped with information - well you can now learn all you need to know with this 6 part course. “How to become a Life Coach” is designed to provide you with all of the answers to the questions that you have about becoming a Life Coach. Each of the 6 modules includes a number of exercises and assignments that will walk you through the options, the ins and outs and all you need to know about how to succeed in this profession.